In 1983, Hungary was the first country in Central and Eastern Europe to offer Degree Programs in English and German to tuition-paying international students. The country’s Universities attract over 15,000 foreign students to its various International Degree Programs. English language programs in Medicine are offered at Semmelweis University, the University of Szeged, and the University of Pécs. Degrees granted in English are identical to those granted in the Hungarian and German-speaking programs. While there are some differences in the curricula from University to University, generally, the first two years of the six-year programs (twelve semesters) serve as the foundation of basic medical knowledge (Basic Module). From the third year, theoretical training is extended, with regular clinical practice, where students intensively take part in the work of the clinical departments and the teaching hospitals (Preclinical and Clinical Modules). In the last two semesters - the Clerkship Year - students perform clinical rotations for forty weeks. For additional information, please visit Applicant Resources. English language programs in Dentistry are offered at Semmelweis University, the University of Szeged and the University of Pécs. Degrees granted in English are identical to those granted in the Hungarian and German programs. While there are some differences in the curricula from University to University, generally, the five-year program (ten semesters) is designed to unify basic and clinical sciences. In the first two years, students are taught basic sciences — medical and dental courses — which are the foundation of clinical dentistry (Basic Module). From the third year on, more emphasis is placed on the study of dental diseases and their treatment (Preclinical Module). The last two years serve the intensive clinical study of each of the various disciplines of dentistry, with emphasis on the assessment and management of patients (Clinical Module). English language programs in Pharmacy are offered at Semmelweis University, the University of Szeged, and the University of Pécs. Degrees granted in English are identical to those granted in the Hungarian and German-speaking programs. While there are some differences in the curricula from University to University, generally, the five-year program (ten semesters) begins with an introduction to basic sciences, thereby providing a basis for further pharmaceutical studies. In the second part of the program, students take part in general and special pharmaceutical education at the University departments, teaching pharmacies, institutes, hospitals and clinical pharmacies, laboratories, and pharmaceutical works. The University of Veterinary Medicine is the only veterinary school in Hungary, and is one of the oldest veterinary schools in the world. The University has been offering its English language degree program since 1992. The degree granted in English is identical to those granted in the Hungarian and German-speaking programs. The five-and-a-half year program (eleven semesters) parallels the standard curriculum found in most European veterinary programs. During the first two (preclinical) years, students study Anatomy, Histology, Embryology, Biology, Chemistry, Physics, Zoology, Physiology, Biochemistry, Ethology, Agrareconomics, Botany, Biomathematics and Computer Application. English, Latin, and Hungarian languages can be chosen as optional courses. During the next three (clinical + paraclinical) years, the curriculum includes Animal Breeding, Pathology, Pharmacology, Toxicology, Microbiology, Pathophysiology, Parasitology, Animal Nutrition, Veterinary Medicine, Surgery, Obstetrics, Food Hygiene, Forensic Veterinary Medicine, Animal Hygiene, Epizoology and State Veterinary Medicine. The eleventh (practical) semester is dedicated to practical work at the Faculty Clinics and faculty-associated institutions. Practical work at the school's Field Stations and State Farms, as well as with veterinarian practitioners, is part of the curriculum. The entire curriculum, divided into core subjects and electives, consists of more than 5,000 hours, a curriculum standard for the European Community. Before the conclusion of the degree program, the students must submit a thesis and take a state examination. Preparatory Courses are offered by both the Budapest Campus of McDaniel College and the University of Szeged. The Budapest Campus of McDaniel College offers two Pre-Application Preparatory Courses in central Budapest: a two-semester-long course and a one-semester intensive Course. These Preparatory Courses are suitable for students interested in pursuing their studies in Medicine, Dentistry, Pharmacy and Veterinary Science at any one of the Universities. 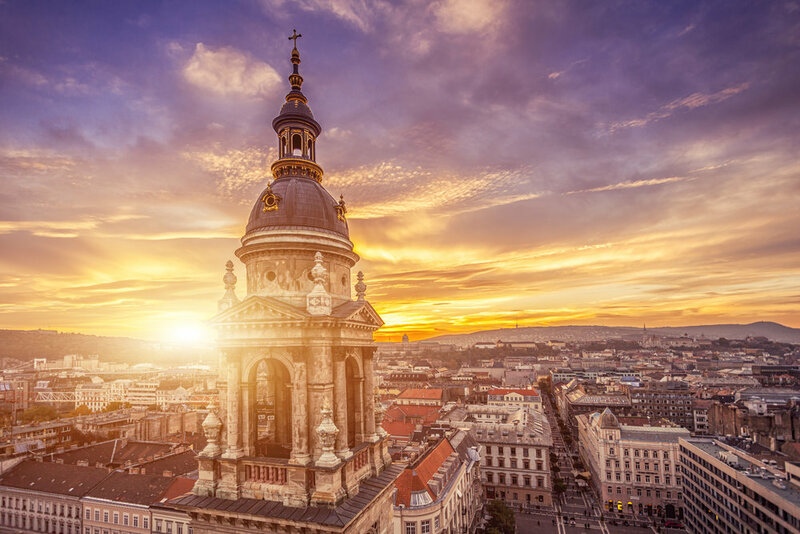 Beyond the academic curriculum that focuses on getting students ready for the entrance examination and the English language degree program of their choice, these Courses introduce students to Hungarian culture and University life. The excellence of the instructors, the close ties between The Budapest Campus of McDaniel College and the Universities, and the continuous monitoring of curriculums by the Professors of the Universities, all contribute to the over-85% admission rate of students into their chosen field of study, following completion of either Preparatory Course. Semmelweis University has a 240+ year tradition of academic excellence and commitment to the education of physicians: Among Semmelweis alumni are Nobel-laureates, world renowned researchers and clinicians. The University’s Medical School, Faculty of Dentistry and Faculty of Pharmacy are located in Budapest, Hungary’s capital. In 1983, Semmelweis University was the first institution of higher education in Hungary to offer an International Degree Program for foreign students (in German). Due to its academic excellence and unique location, admission has been very competitive for all programs Semmelweis University offers. In 1983, Semmelweis University was the first institution of higher education in Hungary to offer an International Degree Program for foreign students in German. Today, the total enrolment in the Faculty of Medicine is 2,400 students, 500 students in the Faculty of Dentistry, and 690 students in the Faculty of Pharmacy. Of the almost 3,600 students at the University, 1,670 are registered in the English language programs. The University of Szeged is one of the largest in Hungary, comprising of 12 faculties, with 2,300 faculty members, 7,000 non academic staff, and 23,000 students. It has 600 undergraduate training programs and more than 100 Ph.D. programs in 19 Ph.D. schools. The University of Szeged is also the proud home to East Central Europe’s largest library and the region’s largest conference centre. The University’s Medical School used to be called Albert Szent-Györgyi Medical and Pharmaceutical Center, named after its former Professor and Nobel Prize Laureate, Dr. Albert Szent-Györgyi, who was awarded the Nobel Prize in 1937 for isolating Vitamin C.
Founded in 1367, the University of Pécs is Hungary’s first University, and also one of Central Europe’s oldest Universities. In 1984, the University of Pécs Medical School was also the first to offer Degree Programs to foreign students in the English language. Due to the many benefits the University offers, its International Programs have enjoyed constant growth ever since. The University of Pécs enrolls 320 students each year in its English language programs: 180 in Medicine, 70 in Dentistry and 70 in Pharmacy. The University of Veterinary Medicine can trace its origins back to 1787, to just shortly after the foundation of the world’s first veterinary school. The University launched its English program in Veterinary Science in 1992. The campus itself is located in the central area of Budapest, near one of the main railway and subway stations, making it easily accessible by public transportation. The Faculty’s main Field Station is located in Üllő, approximately 10K from the boundary of the city. The Field Station comprises an Experimental Institute for biotechnology, a living gene-bank for the preservation of old Hungarian breeds of farm animals, horse stables with a riding-school and hippodrome, and a Large Animal Clinic, opened in the Summer, 2001. In addition to the daily routine work, the Clinic is used for practical training. The University operates a regular shuttle-service between the Campus and the Field Station. In 2006, a new up-to-date Small Animal Clinic was also opened to provide students, staff and clients with 21st-century facilities for diagnostics and treatment. The University of Veterinary Medicine enrolls 100-120 students each year in its English language program. The Budapest Campus of McDaniel College is located in a beautiful historical building in central Budapest. The building itself houses several other International Programs, among them McDaniel Europe and the Budapest Semesters in Mathematics program. Students come to study there from more than 30 countries in Europe, Asia, North-America and Africa. Hungary is a landlocked country; one of the oldest European countries in Central Europe, bordering Austria, Croatia, Romania, Serbia, Slovakia, Slovenia, and Ukraine. Hungary's landscape consists of flat to rolling plains, divided in two by its main waterway, the Danube. The government system is a parliamentary democracy. When Nobel Prize winner, Enrico Fermi, was asked if he believed in extraterrestrials, he replied: "They are among us, but they call themselves Hungarians". The sizeable international student population in Budapest's various Universities provides for a rich social life outside of the classroom, complemented by the wide variety of unique, ongoing cultural events. With the proximity of Ferihegy International Airport, and the availability of low-cost airlines, students also have the opportunity to go on affordable weekend getaways to most anywhere in Europe. Szeged, situated on the banks of the River Tisza, is a thriving University town, as well as the cultural and economic centre of South-Eastern Hungary. It is a city with deep historical and cultural roots, inhabited since Roman times. Szeged was rebuilt after the great flood in 1879, when most of the city was destroyed. With its University campus right in the heart of the city centre, its museums, art galleries, theatres, cinemas, clubs, coffee-shops, pubs and large parks, Szeged offers all the excitement of a big city, while still being easy to explore on foot or on bicycle. Pécs‘s favourable geographic location and climate, combined with the beautiful landscape of the surrounding Mecsek Mountains, provide for a stunning setting and great variety of outdoor activities. In 2010, Pécs, rich in cultural offerings, won the title, “The Cultural Capital of Europe – 2010”, which translated into unparalleled growth and activity in the city.